1. Male deer are usually called bucks or stags. Female deer are referred to as hinds or does. Baby deer are called yearlings or fawns. A group of several deer is called a herd. 2. In the wild, a deer can live an average of 10 years. 3. The deer are in the same family as elk, reindeer, moose, and other species. 4. Only male deer grow antlers every year. When mating season is in bloom, they will use their antlers to fight with other male deer in the hopes of impressing a doe and getting her attention so he can mate with her. 5. Within 30 minutes of being born, a fawn usually takes its first steps. 6. There are 38 recognized species of deer, including the white-tailed deer, the black-tailed deer, the red deer, the mule deer and several others. 7. Deer are mainly found in North America, North Africa, South America, Europe and Asia. They prefer to live in woodlands, swampy areas, mountainous regions and open lands. 8. Deer are herbivores, so their diet mainly consists of plants, bushes, and grass. 9. A female deer can give birth to 1 or 2 fawns at the same time. 10. 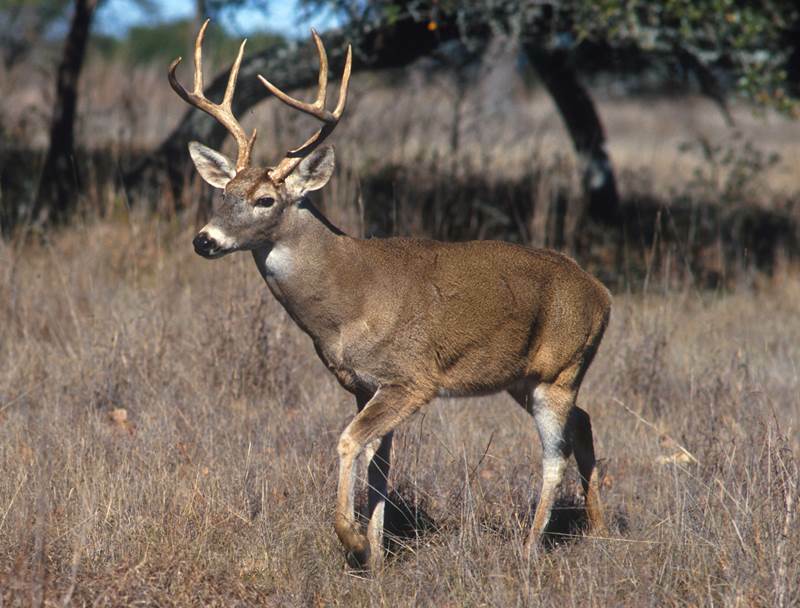 A fully grown buck can measure as tall as 7 feet and weigh as much as 700 pounds. There is one species of deer – the pudu – which measures about 13 inches in height and weighs about 20 pounds. 11. Deer are very good swimmers. 12. The Chinese Water Deer does not have antlers. Instead, it has tusks. 13. Fawns are born with white spots on their fur. However, these spots generally disappear within the first year after being born. 14. The only species of deer in which females grow antlers is the reindeer species, or caribou. 15. Each antler structure is different among male deer. It is like fingerprints on humans – no two antler patterns are alike. 16. A deer’s antlers grow faster than any other living tissue on the planet. 17. Deer have a keen sense of hearing. They can also move their ears in all directions without ever moving their head. 18. Because of the placement of the eyes on a deer, they have a 310-degree view. 19. Mating season for deer is from October to January. 20. Fawns are nearly undetectable by predators because they do not have a scent that predators can pick up. 21. While deer do not hibernate in the winter, they do become much less active so they can survive on a third of what they normally eat in the warmer months. 22. Most deer are brown with few or no spots at all. 23. When deer run away from a predator, they flee in a zigzag motion. This makes their predators use more energy which exhausts them quicker so they will give up the chase. 24. The highest concentration of the world’s deer population lives in the Canadian Rocky Mountain area. 25. The only two continents where deer are not found are Antarctica and Australia.